The University of Wisconsin-Madison has fallen out of the National Science Foundation's top five research institutions for the first time in over 40 years because of the school's decreasing spending on research. The school cut research spending by more than $100 million between 2012 and 2015. Campus officials highlighted the falling expenditures Tuesday as they encouraged lawmakers to increase funding for the University of Wisconsin System in the next state budget, the Wisconsin State Journal reported. Vice chancellor for research and graduate education Marsha Mailick said years of funding cuts have made it more difficult for the university to recruit top researchers and have led some to leave Wisconsin. "We are extremely proud of our faculty, staff and students but if Wisconsin is to remain at the pinnacle of American research universities, the state will need to reinvest to be sure we have the faculty positions and conditions necessary to attract and retain the best researchers," Mailick said. Gov. 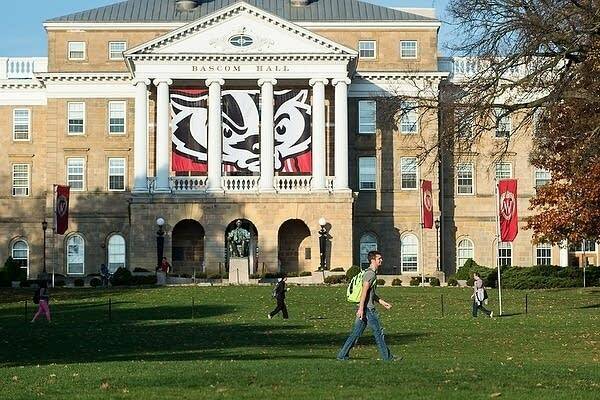 Scott Walker's spokesman, Tom Evenson, said that despite the research ranking, the school recently rose in a U.S. News and World Report ranking of top public universities. Walker said his budget proposal includes increased funding for the UW System that will be tied to unspecified categorical performance. Evenson said the governor's focus "is to invest in the university in a way that enhances career-oriented instruction to help students and employers looking for jobs and workers in high-demand fields."